A day in a kid’s life is filled with fun and mishaps, and there is no better way to protect their eyesight with a pair of stylish safety shades. 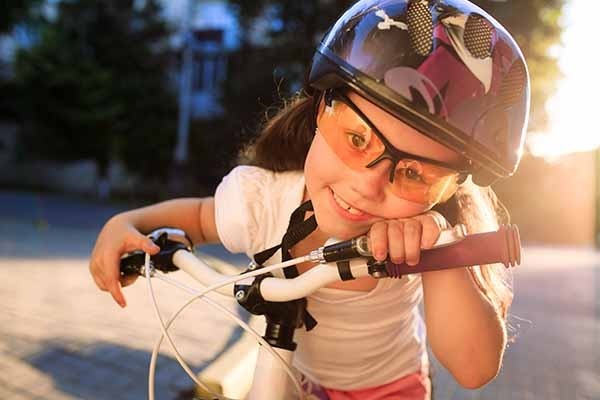 Kids Safety Lens for Daily Use provides unparalleled protection for everyday fun that protects your child from harmful UVA/UVB rays while giving them picture perfect vision even if they don’t carry 20/20 vision. They are engineered to handle daily mishaps the kids always get into, and built tough so that the lenses are scratch resistant and impact resistant. Kids Safety lens uses superior NXT lens that is designed to provide clear vision and optimal safety. Your child’s eyes are well protected with impact resistance glasses, and when a stray object does strike the glasses, the damage that might be done is kept to a minimum as the chance of the lens shattering is relatively low. It is amazingly lightweight, meaning your child can wear this comfortably for the entire day, and the annoying marks on the nose bridge will not appear.